Three varieties of Clif Bar are being recalleddue to possible listeria contamination. 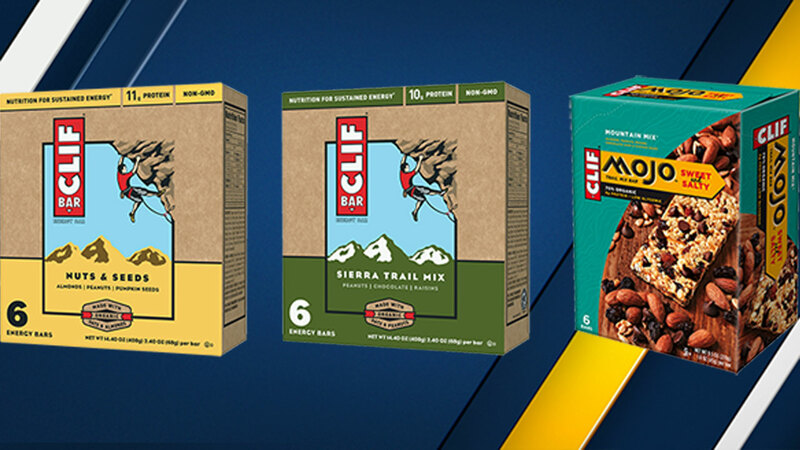 Three varieties of Clif Bars are being recalled by the manufacturer out of concerns of possible listeria contamination. The bars subject to voluntary recall contain sunflower kernels from a supplier, SunOpta, that may be contaminated with Listeria monocytogenes. Clif Bar & Company said no consumers have reported being affected by Listeria, but the product is being recalled out of "an abundance of caution to protect public health." -- Clif Bar Nuts & Seeds energy bar, with dates from June 8, 2016 - Jan. 21, 2017. -- Clif Bar Sierra Trail Mix energy bar, dates June 5, 2016 - March 24, 2017. -- Clif Mojo Mountain Mix dates June 16, 2016 - Feb. 2, 2017. Listeria monocytogenes can cause serious or fatal infections in children, pregnant women, frail or elderly people and others with weakened immune systems. Healthier people can suffer symptoms that include fever, headache, stiffness, nausea, abdominal pain and diarrhea. The infection can also cause miscarriages and stillbirths in pregnant women. Consumers who bought the recalled products are urged to destroy them. Anyone with questions can call the company at 1-888-851-8456. More information is also available on the company's website.